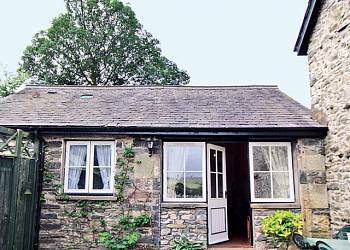 Morefield Cottage is a lovely stone cottage situated in the small hamlet of Old Hutton, which is close to the Lake District in Cumbria. The cottage has 2 bedrooms: one double bedroom and one twin bedroom, and it therefore sleeps up to 4 people. There is an activity centre close by, which offers horse riding, quad biking, paintballing etc. You can also collect freshly laid eggs each day from the hens in the paddock. The cottage is laid out all on one level, so would be suitable for guests with walking difficulties, but note there are 2 steps to the entrance. There is a lovely sun trap private courtyard with patio furniture, which is accessed via french doors leading from the lounge. The owner accepts pets, up to one dog maximum.